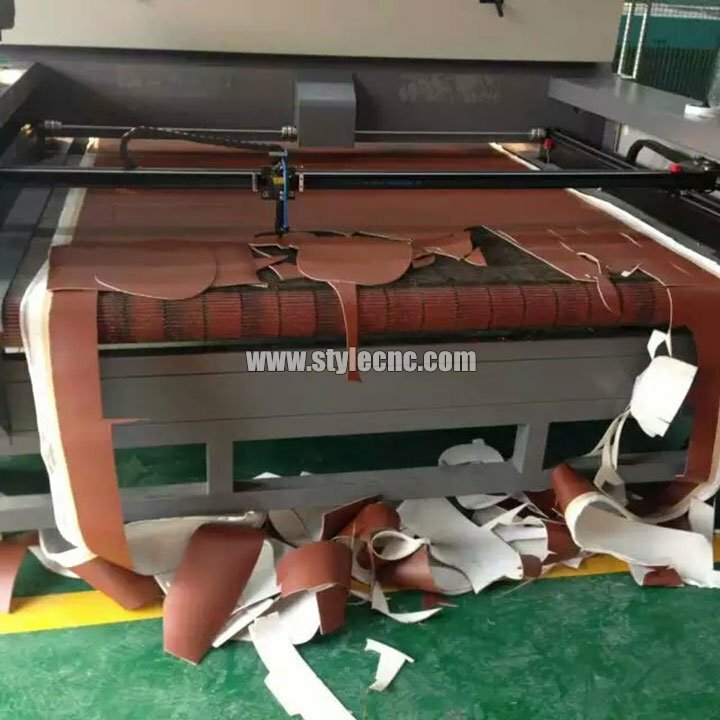 Auto feeding CO2 cloth laser cutting machine is used for cloth cutting, Textiles, leather, Maple leaf, Double-color sheet, Acrylic, Wood, Paper, etc. 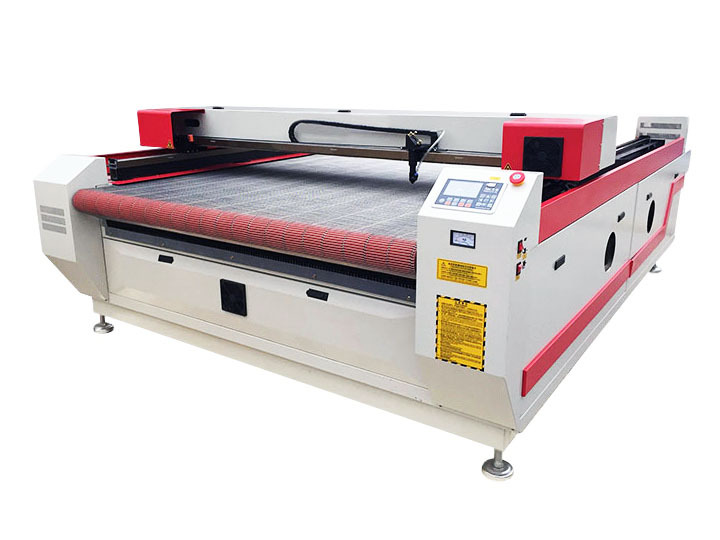 Now the cloth laser cutter for sale with cost price. 1. The auto feeding system is added to save time and cost, and to improve work efficiency. 2. Feeding system adopts special automatic feeding device, convenient processing objects move freely on the surface of the cutting machine. 3. 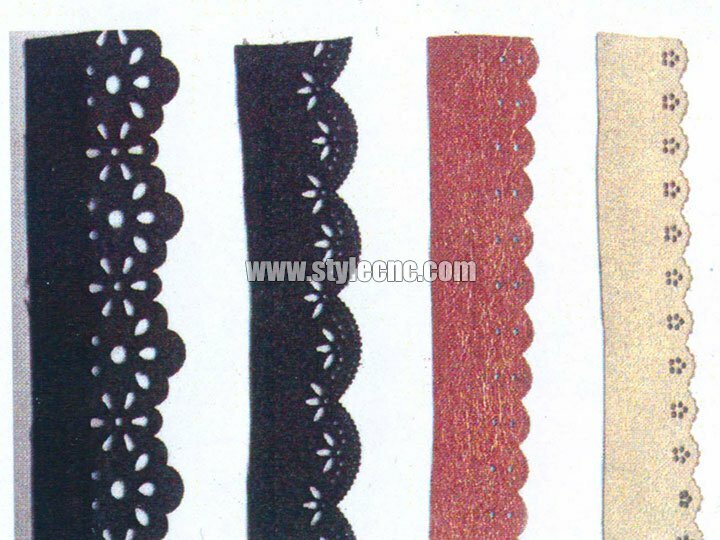 Cloth auto-collecting device is very convenient for users to collect clothes. 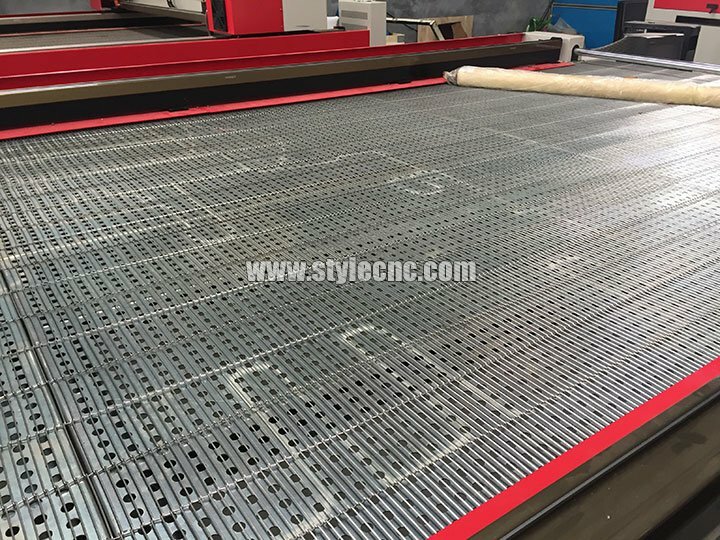 The window is fireproof glass, let the machine more secure. 4. 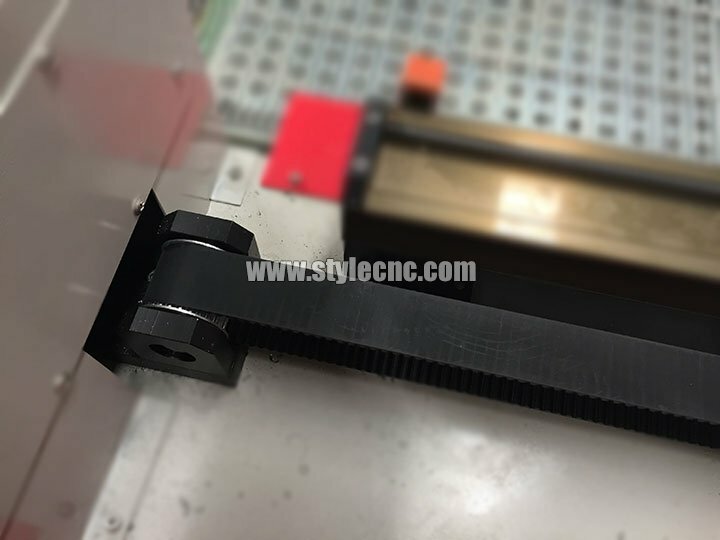 Liner guide rail and precision gear for transmission to ensure accuracy and high speed, open stainless meshed worktable to ensure convenient operation and wear resistance. 5. Crawler correction device can prevent crawler belt dislocation when working. 6. 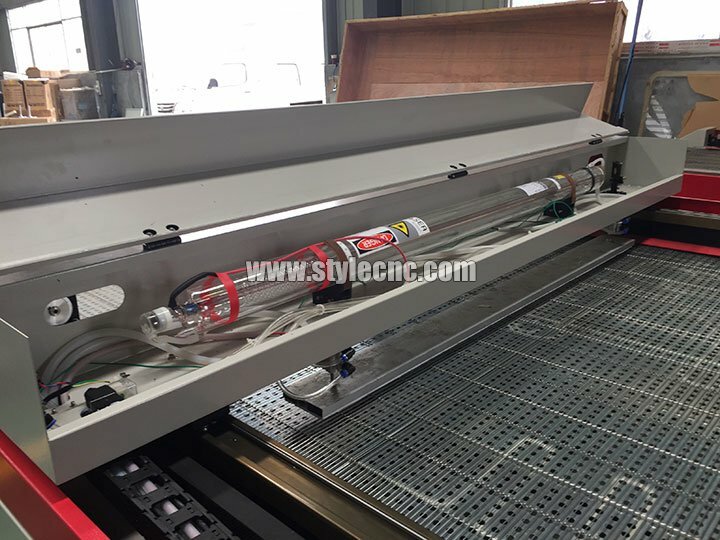 The moving system adopts Taiwan Hiwin linear guide and precision gear, matched up with the advanced stepper motor to ensure the working accuracy. 7. To fully support design software, such as CAD, CORELDRAW, PHOTOSHOP, friendly man-machine interface, live close to the industry needs. 8. CCD (Charge-coupled Device camera) is option. 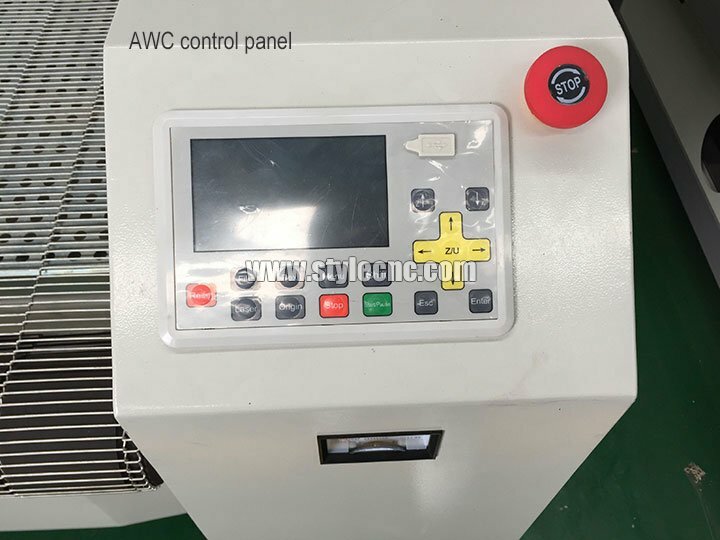 Automatic locating cutting machine with camera. 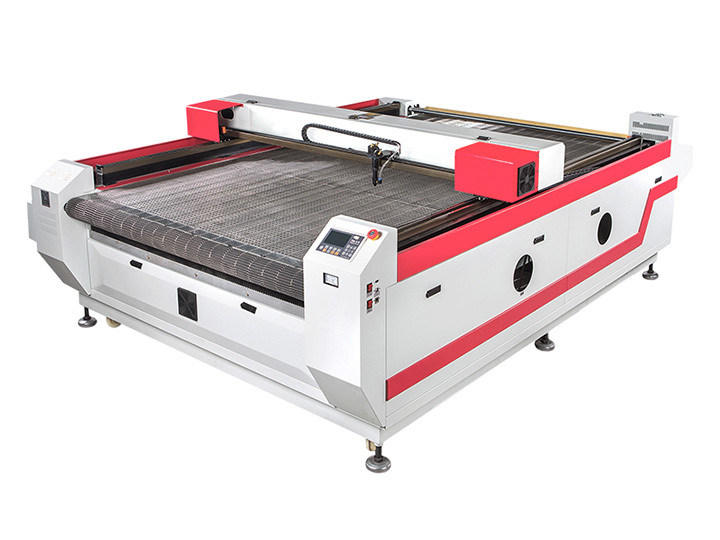 CO2 cloth Laser cutter applicable industries: textile, garment, industrial fabrics, carpets, cloth toys, decorative cloth, automotive interiors and other industries. 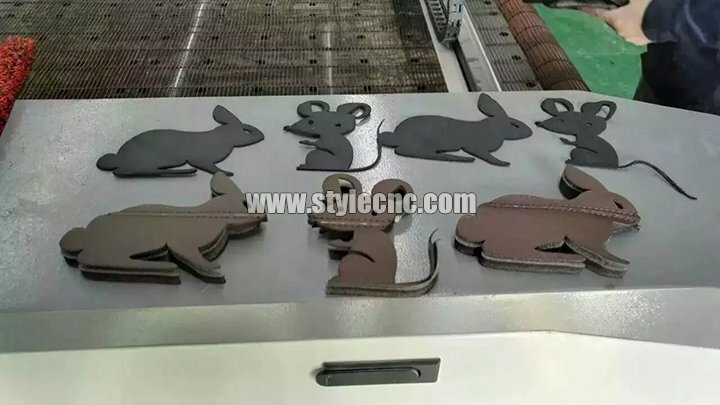 CO2 cloth laser cutter applicable materials: The machine is used in clothing, textiles, leather, Maple leaf, Double-color sheet, acrylic, wood, paper, leather, etc. 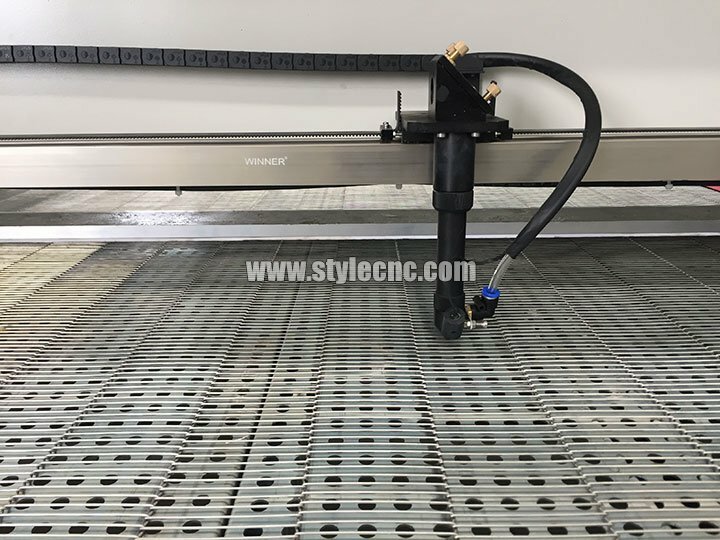 License: The text of "Auto Feeding CO2 Cloth Laser Cutting Machine for sale" by STYLECNC is licensed under a Creative Commons Attribution 4.0 International License. I just received this machine yesterday, it was awesome. when i got it, my friend and i did some projects and it's prefect. my friend said that he also wants to buy one. 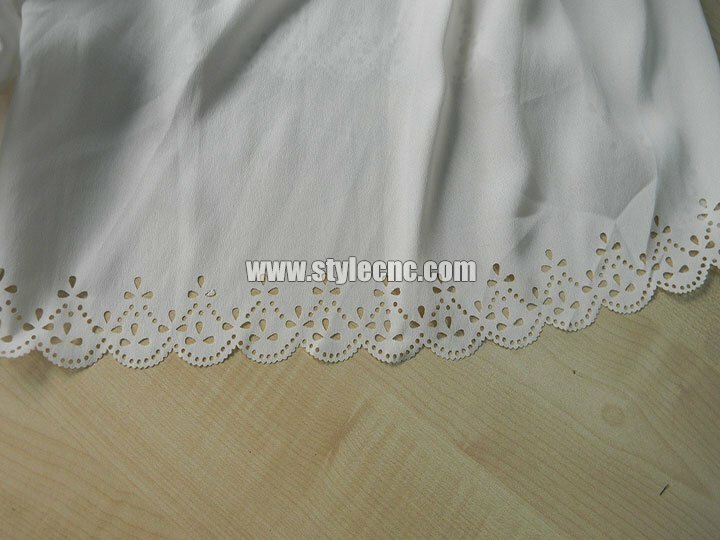 I like STYLECNC team too much, always serve me.